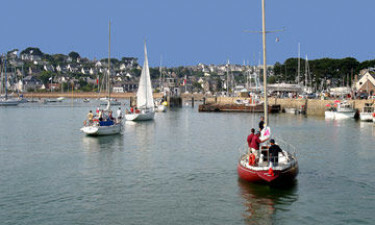 The 5-star luxury camping site of Le Ranolien is located within the tranquil heart of Brittany. Boasting numerous conveniences alongside second-to-none views of nature, this camping holiday should not be missed. Visit LUX-camp to learn further details. 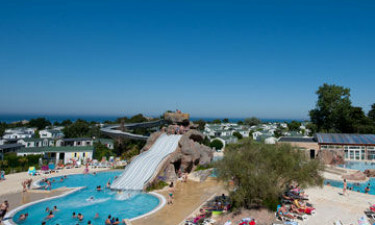 Why Should My Family Choose Le Ranolien as a Luxury Camping Resort? 118 different pitches and mobile homes to select. 15 hectares of fun and excitement. Leisure activities found close to the individual pitches. One of the first qualities which define this luxury camping site is the unfettered access to modern conveniences. Some of these include wireless Internet for each mobile home, snack food outlets, waste disposal sites and food provision facilities. All locations can be accessed by those with limited mobility. There are also tumble dryers and washing machines for anyone who wishes to do a bit of laundry during their stay. Promising fun for the whole family, Le Ranolien is a luxury camping site that can cater to those with children. In fact, a dedicated play area will keep young ones occupied throughout the day and this location is supervised by trained professionals. Adults can enjoy such distractions as table tennis and swimming in a large on-site pool. All of these facilities are found directly within the site, ensuring this resort offers an eclectic mix of camping luxury and fun. Brittany is a region within France known for its rugged beauty. As this luxury camping resort straddles the ocean, some splendid panoramic views can be enjoyed by all guests. The site is no less than 15 hectares in size, so it is always possible to encounter a bit of peace and quiet to absorb the sights. A nearby harbour punctuated by towering rocks is also an attraction not to be missed. 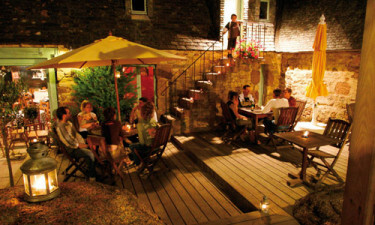 Le Ranolien allows all of its patrons to dine in the lap of luxury thanks to Restaurant Chez Prosper. Locally grown fruits and vegetables are paired with mouth-watering meats to create some stunningly unique cuisine, with many of these dishes boasting the taste ans quality of purely organic produce. A crêperie offers tasty pancakes as well as other pastries; ideal for families to enjoy. Bar Le Rano boasts on-site wireless Internet, a full continental breakfast and other tempting drinks for those with a thirst. A supermarket found within this holiday camping site offers all types of goods including produce, meats, fish, soft drinks, camping equipment and toys for children. Additionally, a nearby kiosk offers international newspapers, tobacco products, postcards and even disposable cameras. There is also a selection of souvenirs for those who wish to remember this camping holiday for years to come. To fully appreciate what the holiday camping site of Le Ranolien has to offer, reach out and speak to a LUX-camp representative for further details.